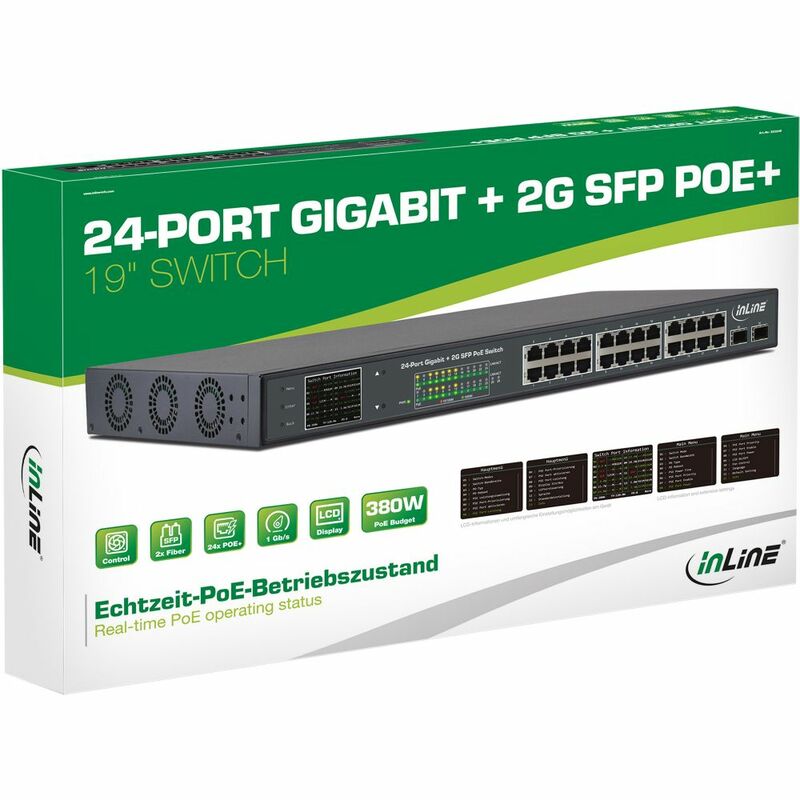 The InLine® PoE+ Gigabit Network Switch is a fast and flexible solution for upgrading the existing network to the IEEE 802.3af / IEEE 802.3at Power over Ethernet system as well as a fiber-optic connection to bridge longer distances. 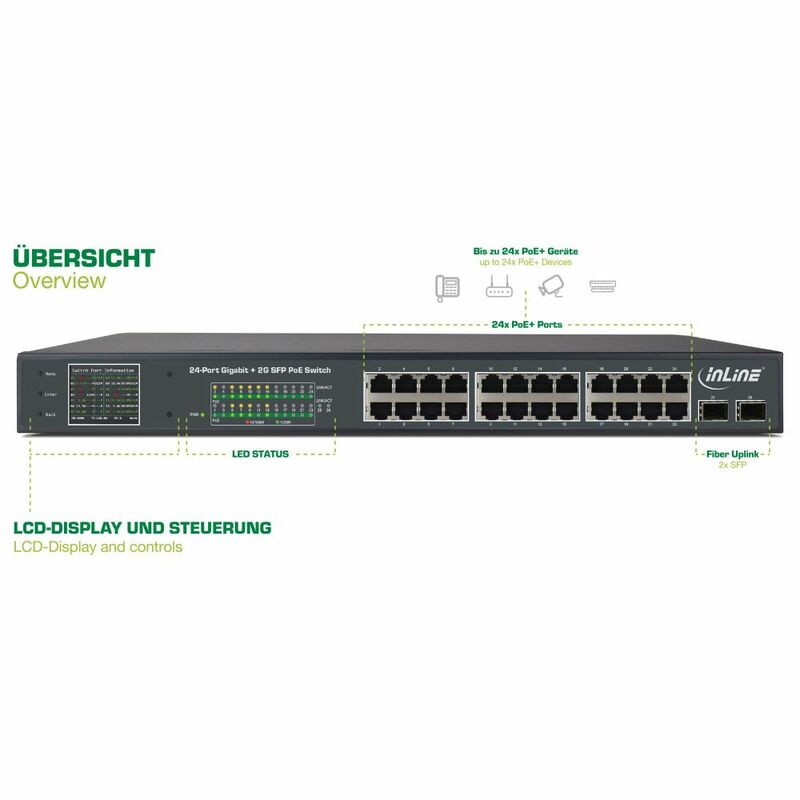 The switch provides protection against, for example, overload, overvoltage and overheating at each port. 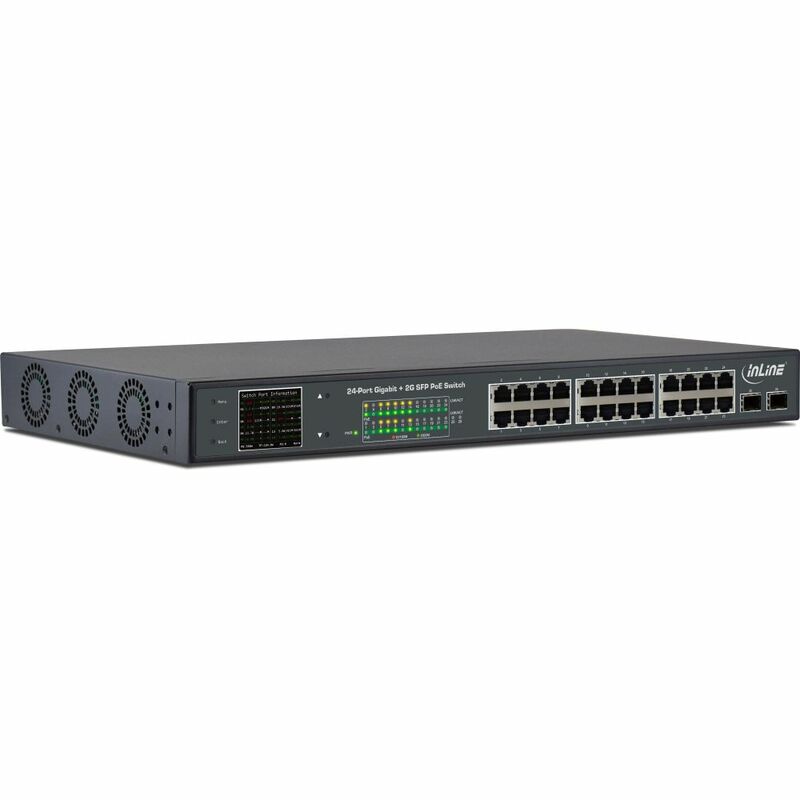 In addition, the switch offers both IEEE 802.3af and IEEE 802.3at PoE+ with up to 32 watts of power per port via single Cat. 5/5e/6 Ethernet cable with a PoE budget of 380W and a combined total power of 420 watts. 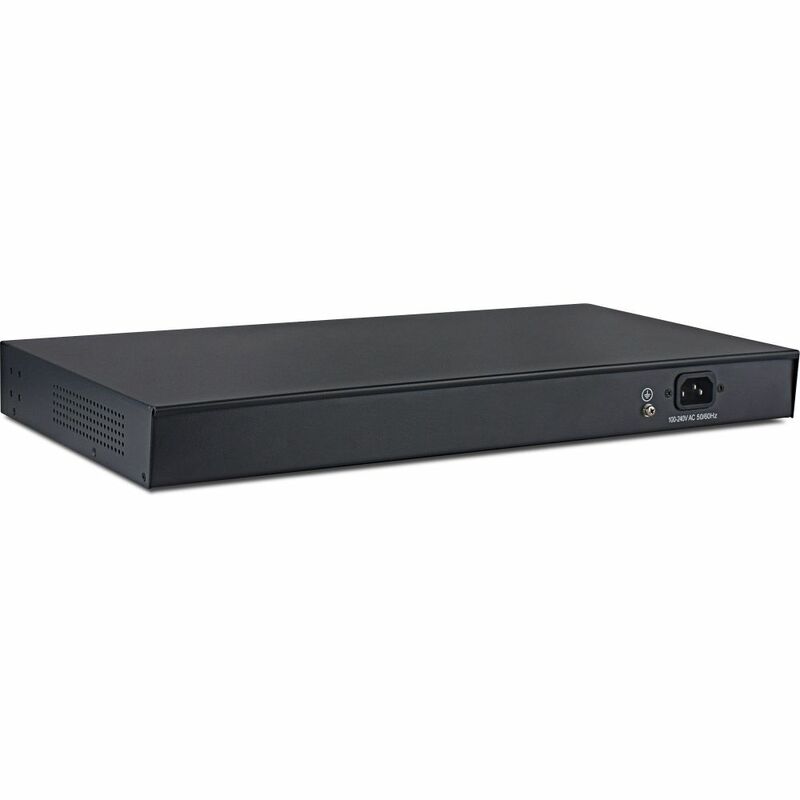 24x 10/100/1000Mbps PoE+ ports solve the problem of a limited number of available power outlets, providing system administrators with a flexible solution to power almost anywhere the powering network device, such as PoE-enabled IP cameras or wireless access points. 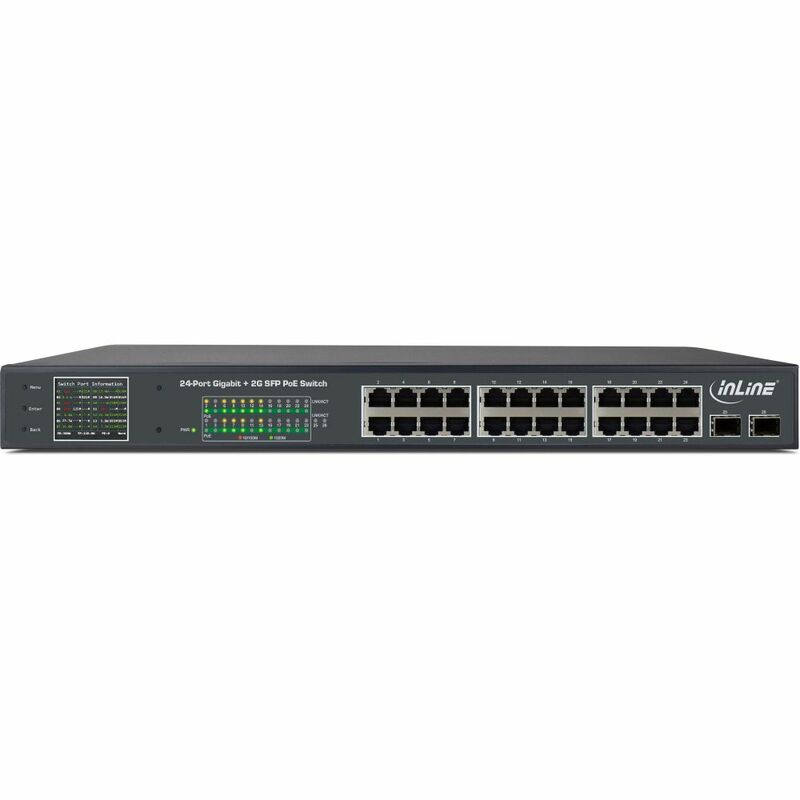 Switch mode (Normal, VLAN (the switch supports the isolation of each port, but each port can still communicate with the uplink port), CCTV (the switch supports a maximum distance of 250 meters with a transmission speed of 10Mbps. Fan control: This function gives you the option of specifying fan operation. You can choose from "Always On", "20% PB" (when the switch spends 20% of its power budget), and "40% PB". 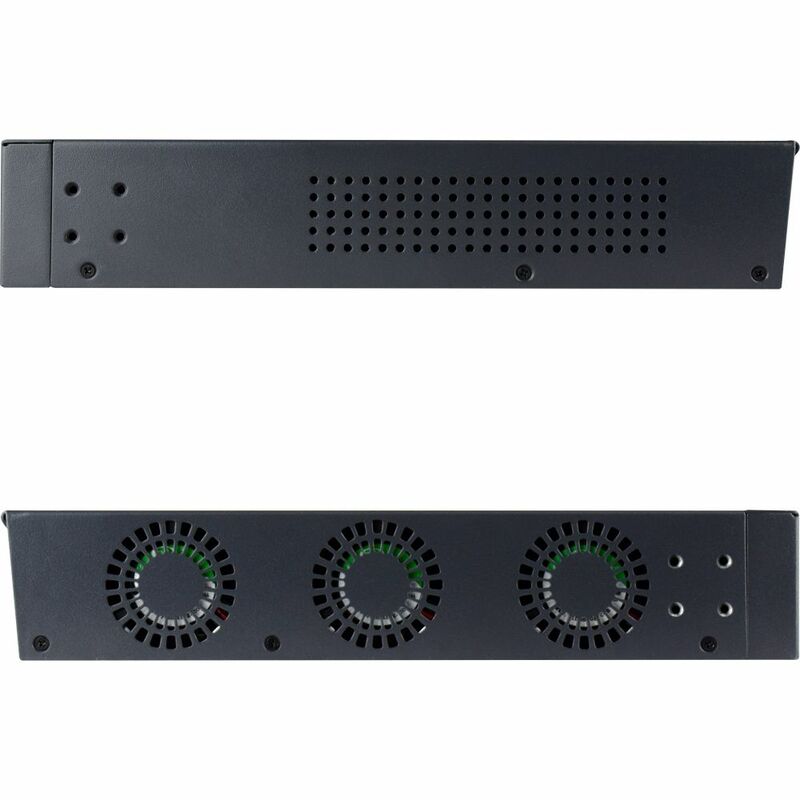 Customer evaluation "InLine® PoE+ Gigabit Network Switch 24 Port, 1GBit/s, 2x SFP, 48,26cm (19", brackets included), Metal, fan control, with display, 420W"